If there is one place that I felt I absolutely had to visit while in Norway, it was the Lofoten Islands. The Islands are located in the Arctic Circle towards the top of Norway and are supposed to offer some of the most beautiful sights in the country. About a month ago, Alix and I decided that we should plan a trip there, and we have finally begun our journey. Getting there has taken some planning, and on our first day we traveled by train, ferry, and car. 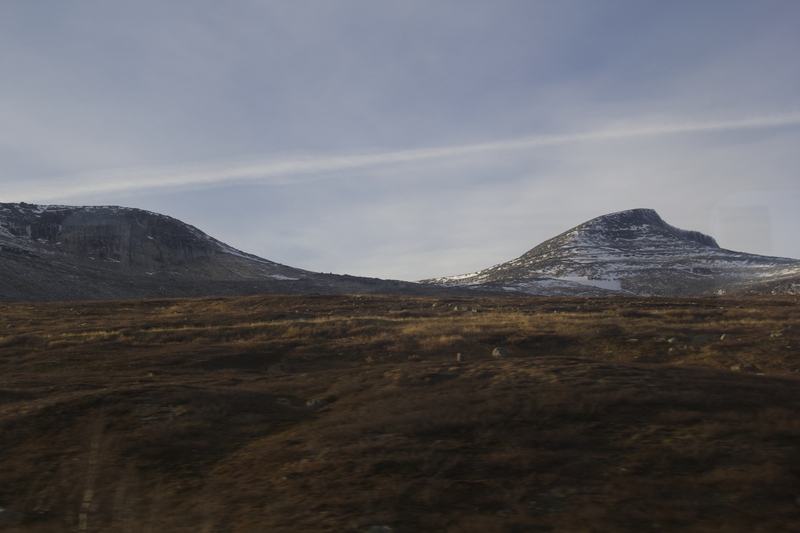 The first leg of our journey involved taking one of the national trains (NSB) up to Bodø. The train ride itself was quite a haul and took ten hours. 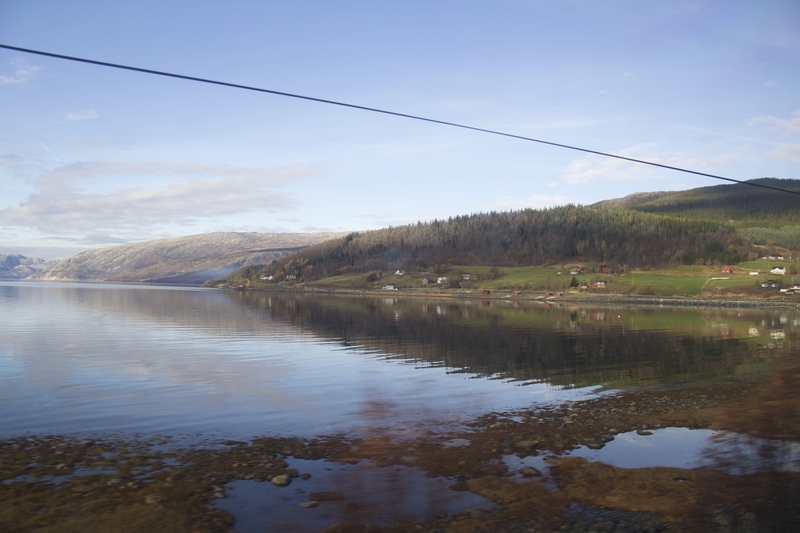 Originally we debated whether or not we should just take a sleeper train, but in the end we decided that it’d be nice to go during the day and see the scenery. So, having woken up at 6 am on Monday morning, I bundled up my things and headed down to Trondheim’s central station to catch our 7:38 am train. While the train ride was really long, I would say that it was definitely worth doing. 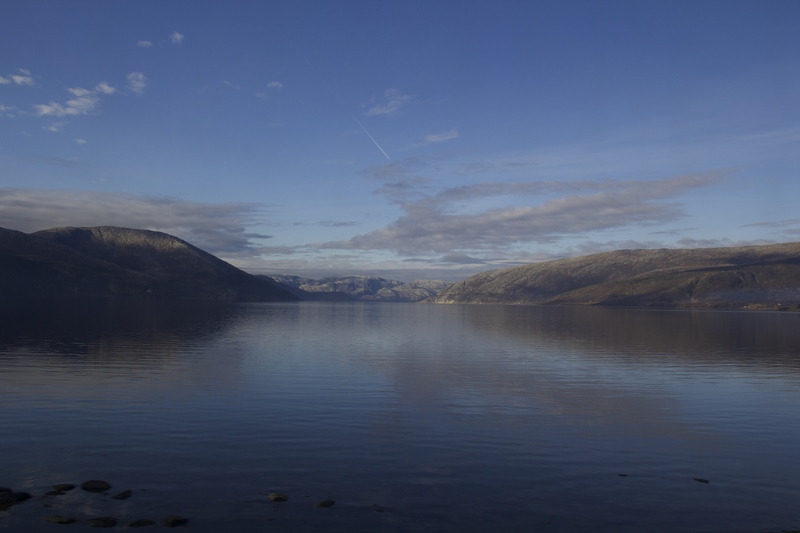 The landscape was incredible and constantly changing; I never really got bored of looking out the window. 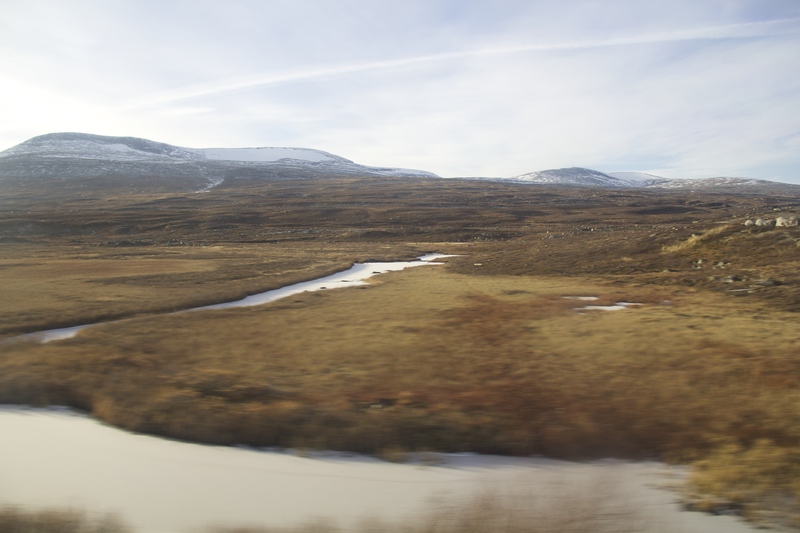 The train ride also helped me realize how desolate and sparsely populated the country can be. In fact, at one point the train had to stop to let reindeer cross the tracks. NSB trains also tend to be quite comfortable and even provide slow wifi. So, in between napping and looking out the window, Alix and I were able to keep entertained during our journey. 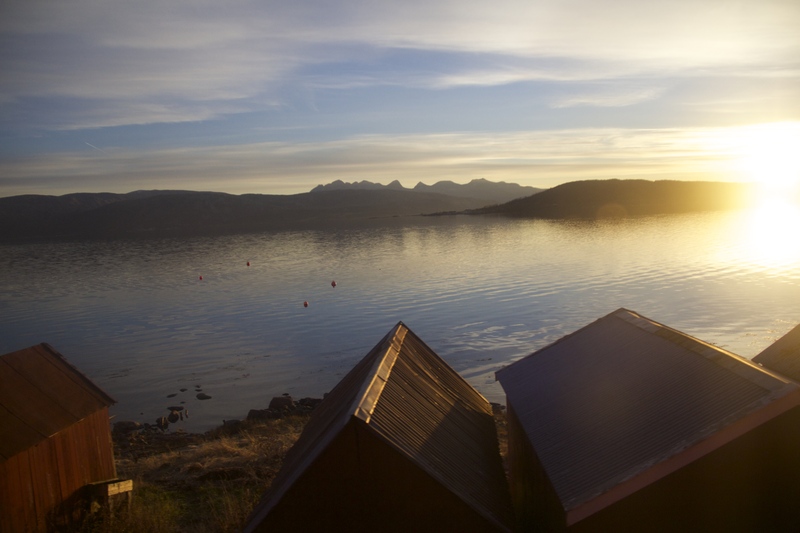 Yes, Norway is stunning. The funny thing is that this isn’t even a train route well known for its beauty. 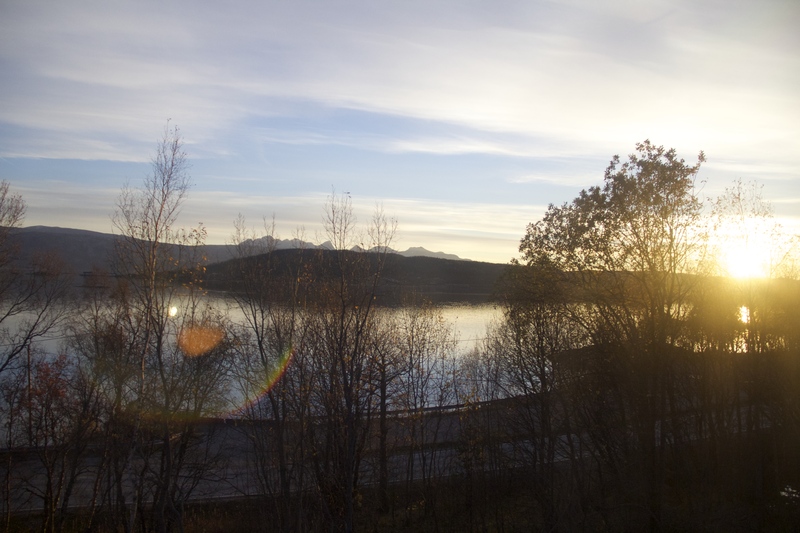 After we arrived in Bodø, Alix and I managed to snag some dinner before picking up our rental car at 7. After that, we had about five hours left to kill since our ferry didn’t leave for the Islands until 12:15 am. We ended up walking a few laps around town before settling down at a cozy café called Paviljong. 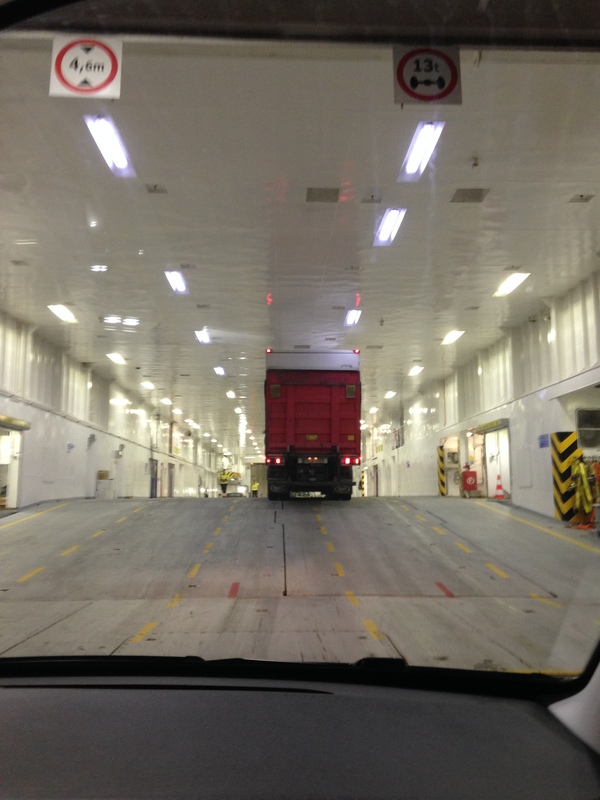 At around 11:00 pm we moseyed our way down to the ferry terminal. I had bought our tickets over the phone and was a bit anxious since we lacked both the physical tickets and any email confirmation from the ticket company. Surprisingly enough, the ferry operators essentially waved us aboard, and as far as I can tell they never bothered to double check our story. 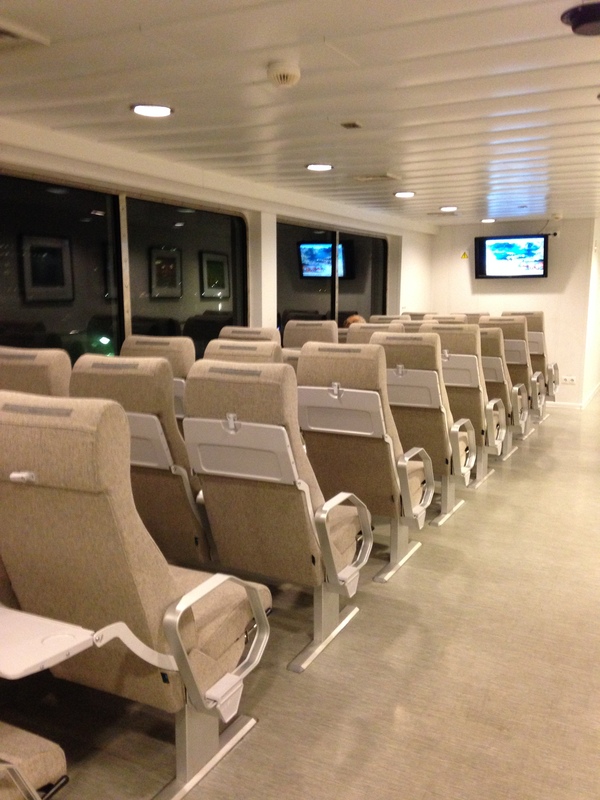 The ferry itself was quite nice. Everything was neat, clean and cosy. 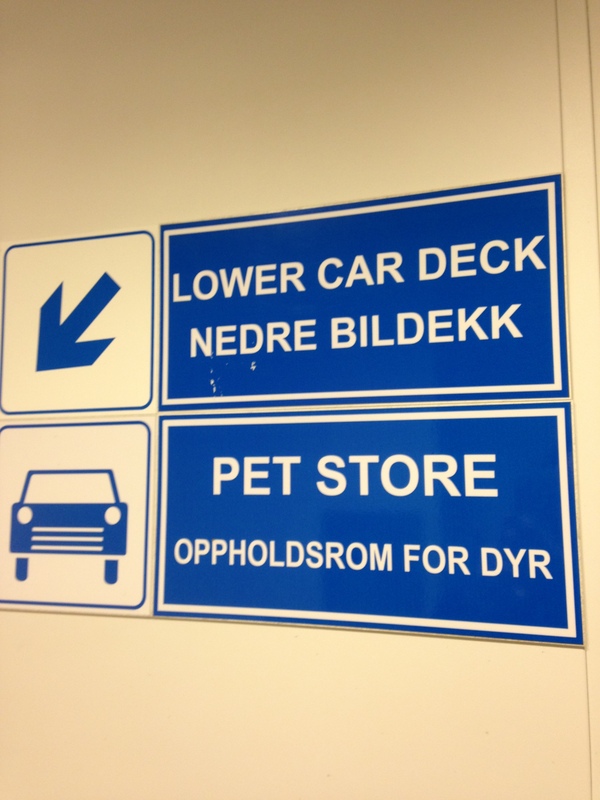 In fact, the most disappointing thing involved a sign with the words “Pet Store.” My sleep deprived brain assumed that we could go to an actual pet store onboard the ferry and play with puppies for sale, but Alix pointed out that it was more likely a holding area for animals (I have since confirmed with Norwegian speakers that “Pet Storage” would have been a more accurate translation). Having been disappointed by this, I resigned myself to a puppy-less night and followed Alix up to one of the passenger decks before falling asleep almost immediately in one of the chairs. But our journey did not end there. At the ungodly hour of 3:30 am, Alix and I peeled ourselves off of our ferry seats and returned to the car. We finally arrived at the Lofoten Islands in the town of Moskenes. Unfortunately, Moskenes was not our final destination. So with the help of Google Maps and a few sugary snacks we prepared to drive for an hour to our final destination, Nusfjord. We finally made it to our rental cottage at around 4:30 am, and thanks to our very gracious hosts were able to go to our cottage and fall asleep in our well heated rooms. In short, not a bad adventure for Columbus Day. 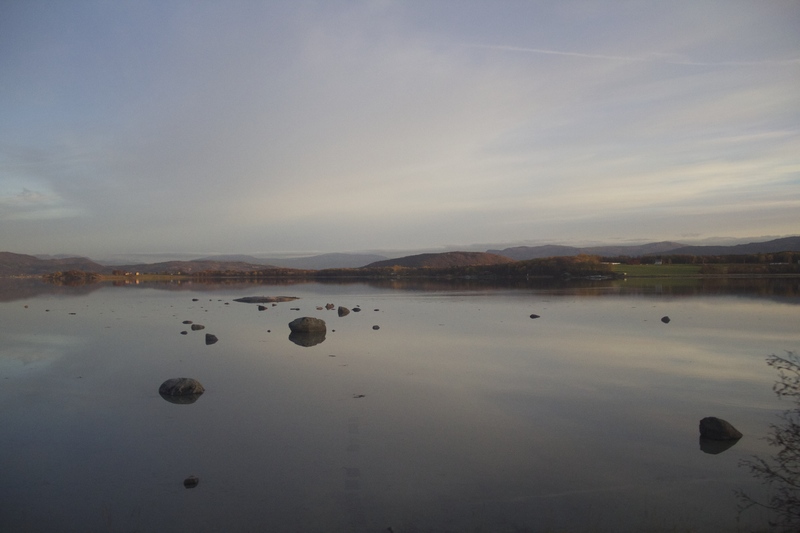 Unfortunately I will not be talking about Game of Thrones in this post, just the fact that winter is slowly but surely arriving in Trondheim. 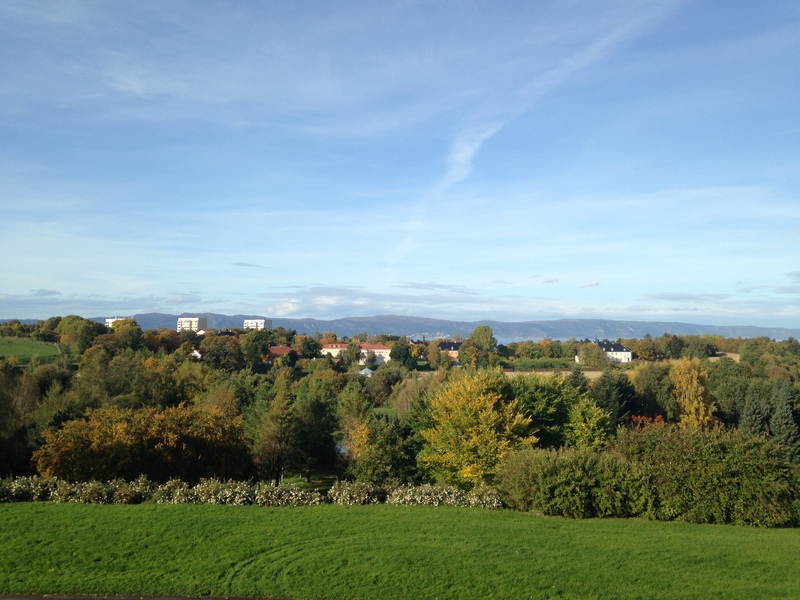 When I first came to Trondheim in August, the weather was unseasonably warm at around 26°C (80°F). By around mid-September, temperatures hovered around 12°C (53°F), and now they have sunk to 6°C (42°F). I have officially abandoned any and all attempts to look stylish and have now settled for bundling myself in layers and puffy garments. Sadly, the weather statistics on Trondheim tell me that the temperature still has a ways to drop. In January, temperatures reach their lowest at around -16°C (3°F). When I vaguely protested the state of the weather to one of my European cousins I was called a pansy (to be honest, I was more surprised at the fact that pansy is still considered a modern day insult than the fact that he was poking fun at me). So, in an effort to recognize that winter is in fact considered a normal season, I’ve now decided to try and put my Californian habits aside and suffer in silence. At the end of the day I’ve lived through -16 degree weather so it’s more a matter of resigning myself to the cold. On a related note, the amount of daylight is also starting to change. 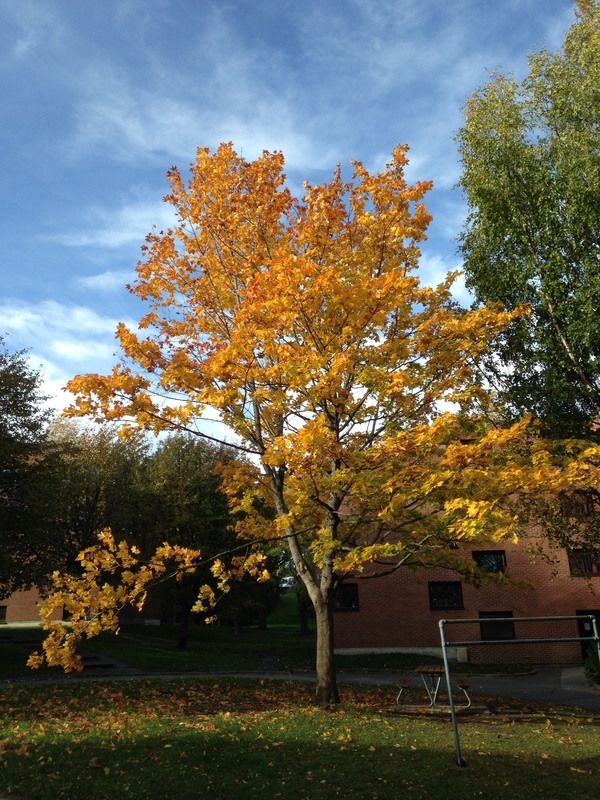 Trondheim loses the vast majority of its daylight in October so things are slowly but surely starting to transform. I lose just over 6 minutes of sunlight every day, or an hour about every week and a half. While I lose an equal amount of sunlight in the morning and in the evening, it feels as though I’m losing the majority of the sunlight in the morning. This is largely because sunset used to occur so late. Instead of seeing the sun set at around 11 pm, sunset now seems much more reasonable at around 6 o’clock. In contrast to this, having sunrise at 8 am instead of 5am is a bit more disconcerting. 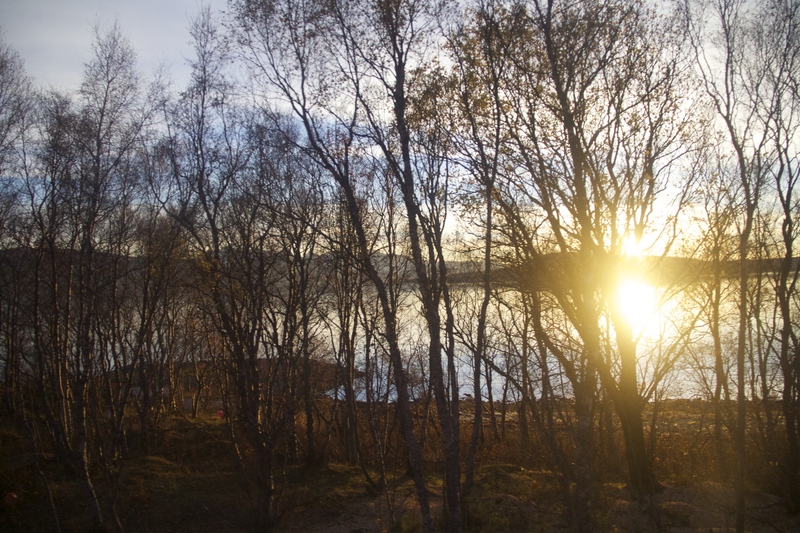 Although Trondheim loses most of its daylight in October, I still have plenty of daylight left to lose even after October has come and gone. 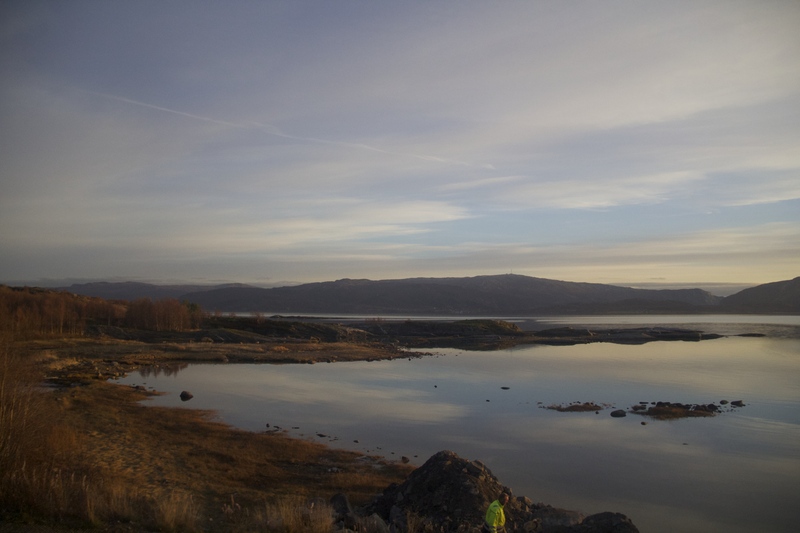 Trondheim gets its lowest amount of daylight towards the end of December, when I’ll get around a mere four and a half hours of sunlight. If you’re interested in learning more about the changes in daylight you can check out this website. If you’d like to follow my blog regularly, definitely feel free to sign up for email notifications either on the righthand side of the Home page, or by clicking the Follow button at the bottom of my website (the actual existence of the button is dependent on what browser you are using). For those of you who have signed up for notifications, I’ve had a few friends reach out and tell me that they either haven’t gotten any notifications or have been having trouble with them. If you do sign up to follow my blog, you should get an email notification from WordPress asking you to confirm your subscription. If you’d like for me to double check on whether or not you are subscribed, feel free to either email me or use the Contact page to send me a message. Thanks! Fall is officially here! While I am not a huge fan of winter, or seasons generally (a product of being born and raised in California), I freely admit that the one season I did grow to appreciate from my time in Boston was fall. 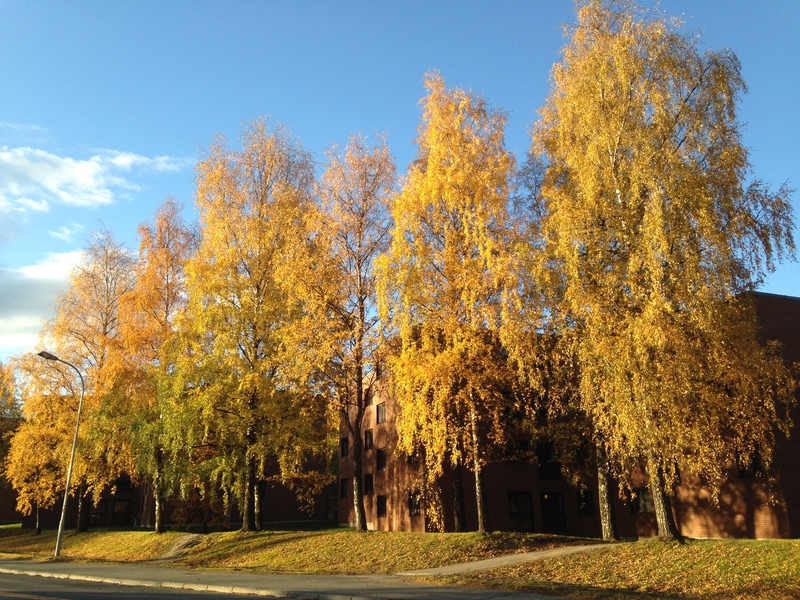 I absolutely love how the trees change colors, and the leaves on the trees have finally changed into brilliant shades of orange, gold, and red. To be honest, it’s been hard not to take pictures 24/7. And while fall itself is a pretty exciting phenomenon, so are day trips! 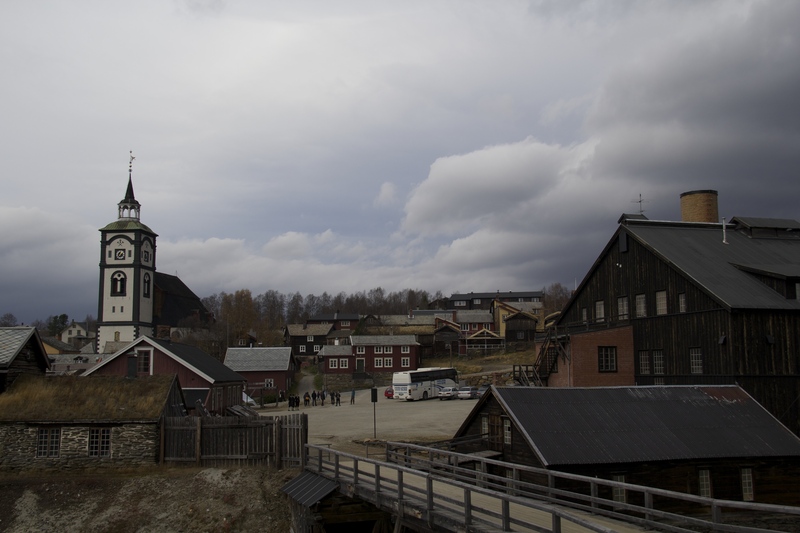 I’ve finally started to explore outside of Trondheim, and this past weekend I went to Røros with Alix and a friend of hers. Ø is still a sound that I have a bit of trouble with, but in case you’re wondering how to pronounce Røros it’s something along the lines of Ruh-ros. 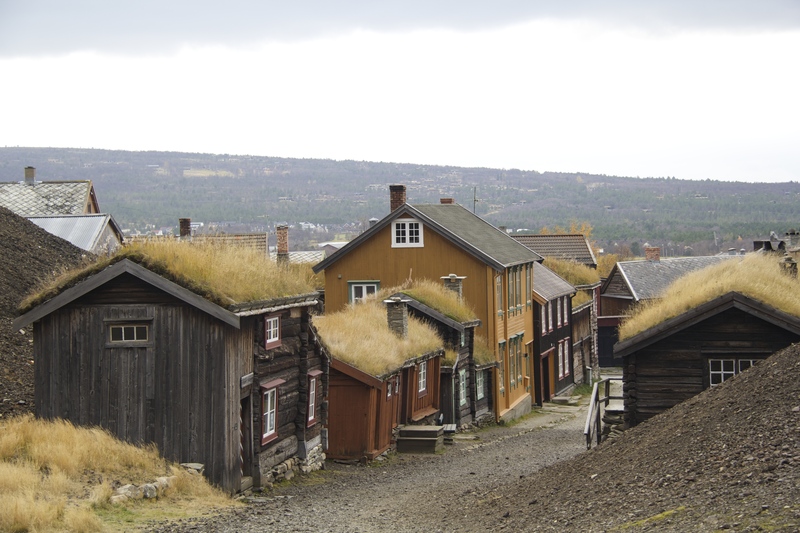 Røros in one of Norway’s coldest towns, and in 2010 temperatures were recorded as going below -44°C (-47.2°F). Thankfully it wasn’t nearly that cold when I visited, although I will say that it was still very cold and very windy, even for October. 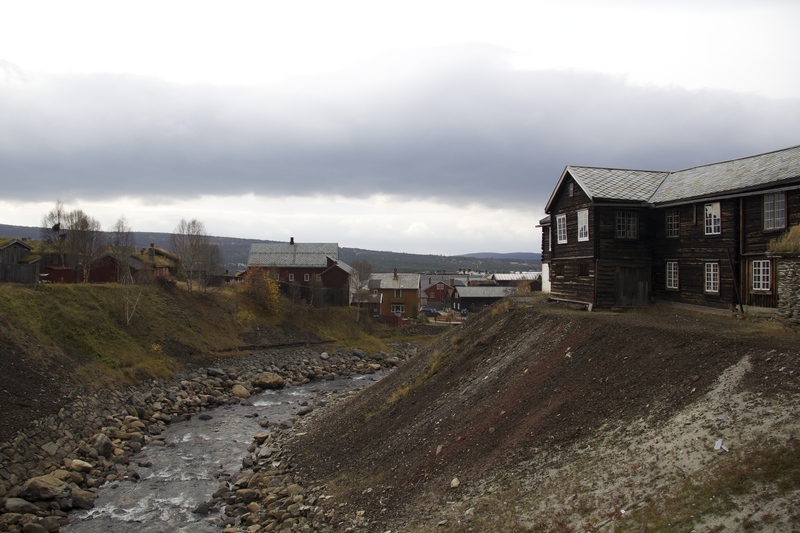 Røros is also well known as a historic copper mining town. 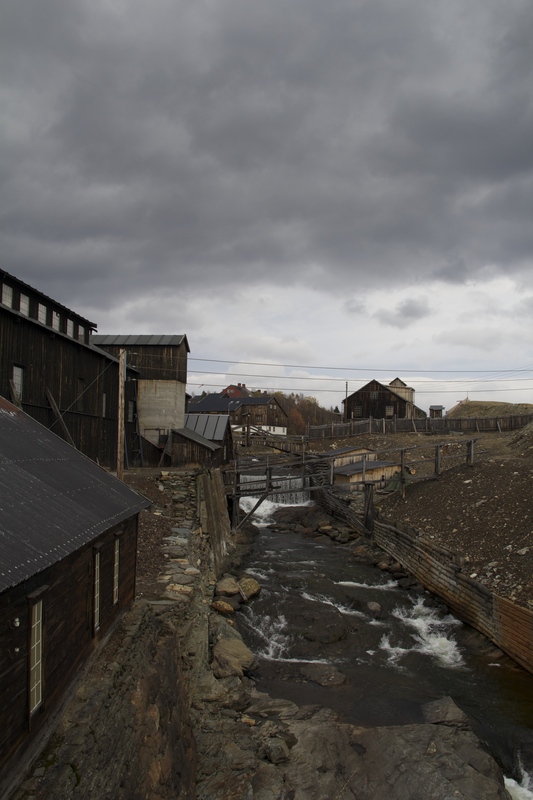 The smeltery was built here in 1646, and was closed for good when the Røros Copper Works went bankrupt in 1977, marking an end to a 333 year old business. 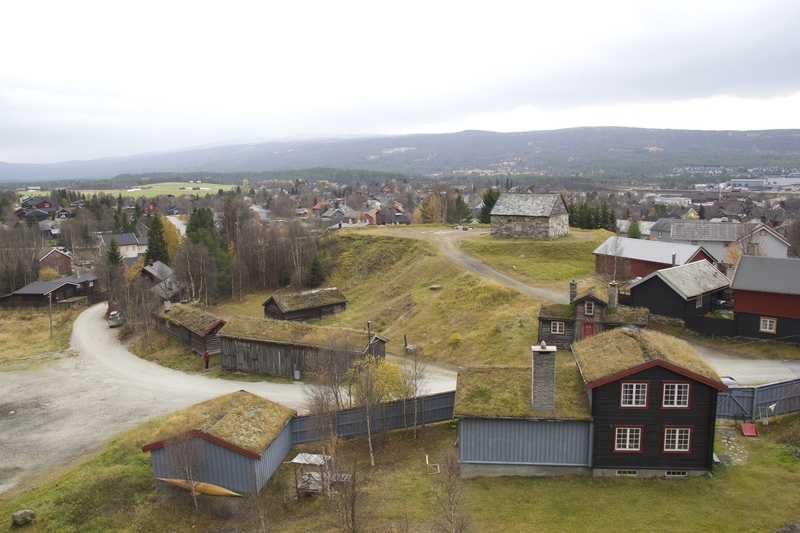 Nowadays, Røros is more well known for housing a small artistic community and for having several museums dedicated to its mining history. 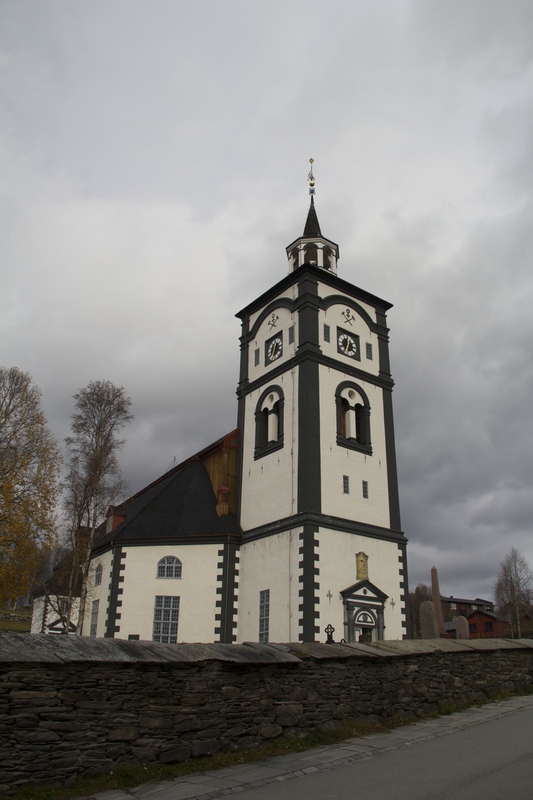 We decided to take a train to get to Røros, and after the requisite two hours of travel, our first stop in Røros was the church. Lucky for us, the church finished major renovations a few years ago so we were able to go inside and explore. 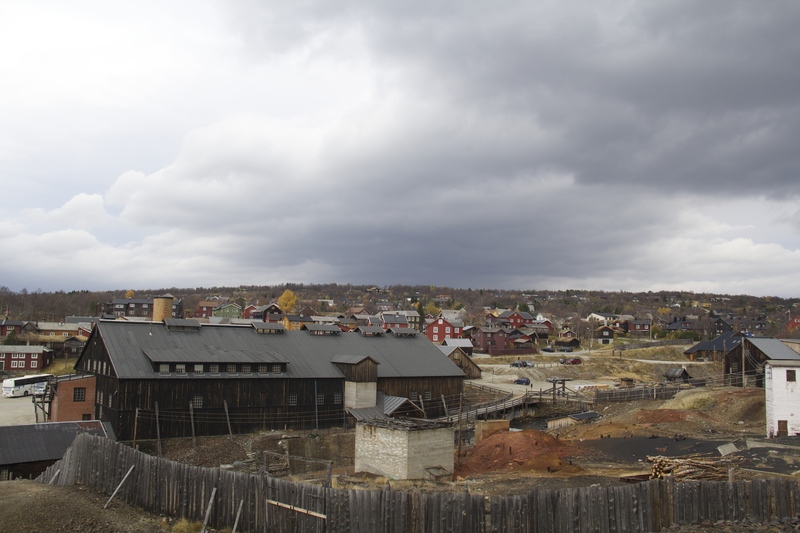 The church was owned by the mining company until 1865, and it used to be that miners were required to attend church. 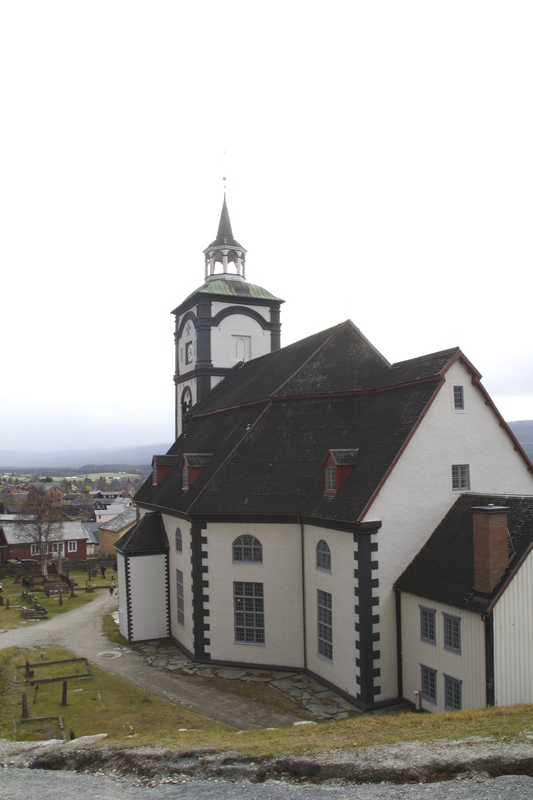 The front of the church houses the pulpit as well as the oldest functional Norwegian built organ (made in 1742). 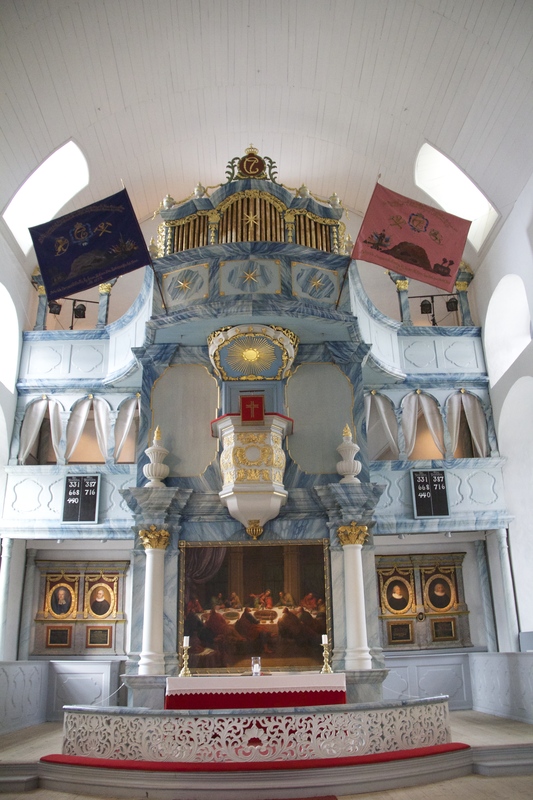 The two flags by the alter are the flags of the mining company’s two military units, which were needed to defend the copper facilities against the Swedes. Overall, the church was fairly plain but worth the visit. After we stopped by the church, we headed to the smeltery museum. Unfortunately the museum was closed when we got there, but we still had a good time wandering around and admiring the old buildings. 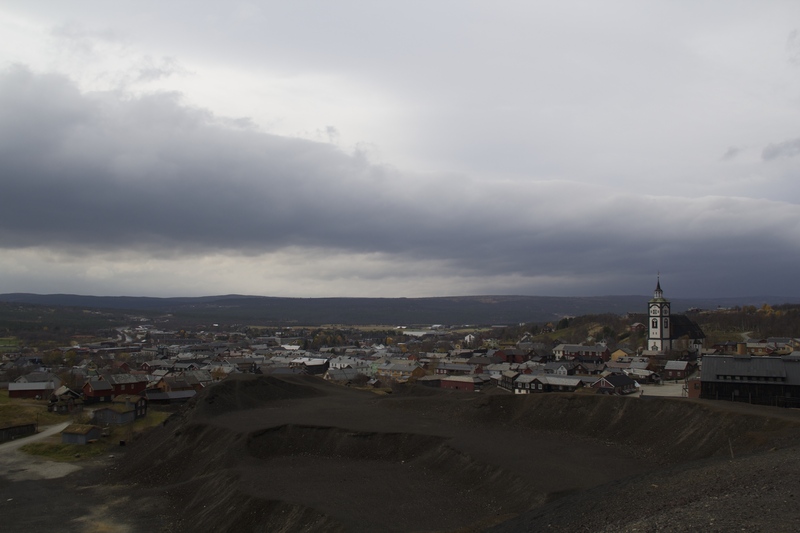 We then decided to climb up the neighboring slag heaps, where we got beautiful views of the town and the neighboring miners’ cottages. While the view was well worth the climb, I will say that the top was incredibly windy. In fact, it was windy enough for all of us to lean over at an angle and be comfortably propped up by the wind. After the slag heaps we spent the rest of our day eating in cafes and wandering into different artisan shops. Hopefully I’ll get the chance to visit the town again in February when they have their annual winter market, Rørosmartnan. In case you missed the announcement today, the Nobel Peace Prize was just awarded to India’s Kailash Satyarthi and Pakistan’s Malala Yousafzai for their advocacy of children’s rights and education. If you’d like to learn more about them, The Guardian gives a brief overview of both of the winners here. Because the Nobel Peace Prize is the only Nobel prize awarded in Norway it is a topic that tends to pop up in conversation here. Before the announcement of this year’s winners, I was actually pretty surprised to learn that Norwegians were actively campaigning to have Edward Snowden win the prize. In fact, my visit to the Nobel Institute’s Democracy Center even had a small exhibit showcasing Snowden. Because of all the hype surrounding Snowden, I thought it would be interesting to teach a lesson on him in one of my classes. In practice, teaching about Snowden actually ended up being much difficult than I had anticipated. Not only did I have to come up with simple ways to define a few more technical terms, I also had to give some background on the US Justice system in order to properly explain the Fisa Court and the laws that allow surveillance in the US. There are three main laws that allow for such widespread surveillance: the Foreign Intelligence Surveillance Act of 1978, Executive Order 12333, and the Patriot Act of 2011. All of these have been amended, with the latest amendments occurring in 2004 and 2008. Established the Fisa Court which was created due to events in the 1970s. At the time, it was reported that the government had been spying on political and activist groups. The Court was created to ensure government oversight over surveillance practices. Originally if the government wanted to spy on an individual it would need to have the Fisa court approve that individual warrant. Now a warrant is only needed if the target is a US citizen or if a call takes place entirely within the US. While these laws establish the legality behind surveillance, there is still a process the government has to go through in order to actually collect the desired information. There are two main ways that the government gets this legal mandate: a national security letter or a Fisa court order. Consequences: Or Has Anything Changed Since Snowden? After teaching my students, I had them divide up into groups so that they could debate whether or not Snowden did the right thing. I was actually pretty surprised to find that the groups arguing against Edward Snowden were floundering. Both groups were having difficulty coming up with reasons why Snowden did the wrong thing, or should be considered a traitor. Considering the number of negative reactions I’ve seen surrounding Snowden in the US, I was pretty surprised to find these groups struggling. In the end, I decided to give these groups a few arguments that they could use (Snowden’s revelations would encourage more whistleblowers to disclose national secrets, it hurts US credibility abroad, it hurts US companies abroad, etc.) but it was pretty clear that both groups found these arguments less than compelling. The structure and intent behind the Fisa Court. Many of my students struggled to understand both the reasoning behind the Court and why the Court is structured in the way that it is. Internal abuses by the NSA. They were particularly outraged by LOVEINT, or the practice of some employees of spying on love interests. My students were also outraged that the NSA had even entertained the idea of spying on foreign companies in order to pass along information to domestic companies. At the end of the debate, I had my groups tell me their actual feelings on Snowden, and the vast majority of them approved of Snowden’s actions. However, when I asked if they would award him the Nobel, only three people out of my group of twelve raised their hands. While I don’t think this was my most popular lesson, it was fun to do and presented a nice challenge. At the end of the day, I also felt like it did a good job of getting my students to talk and think critically. and although I don’t use all of these accounts, or regularly check them (in fact I’m pretty sure the accounts in India and Korea are empty if not closed), I thought it’d be interesting to compare the level security required by each country’s banks. In the US I’ve always gone to the bank to open up a new account (and this distinction will become slightly more clear later on). In my current US accounts, all I need to access my account information online is a username and password (but if you forget either of these things a much more thorough process is initiated to confirm your identity). That’s it. 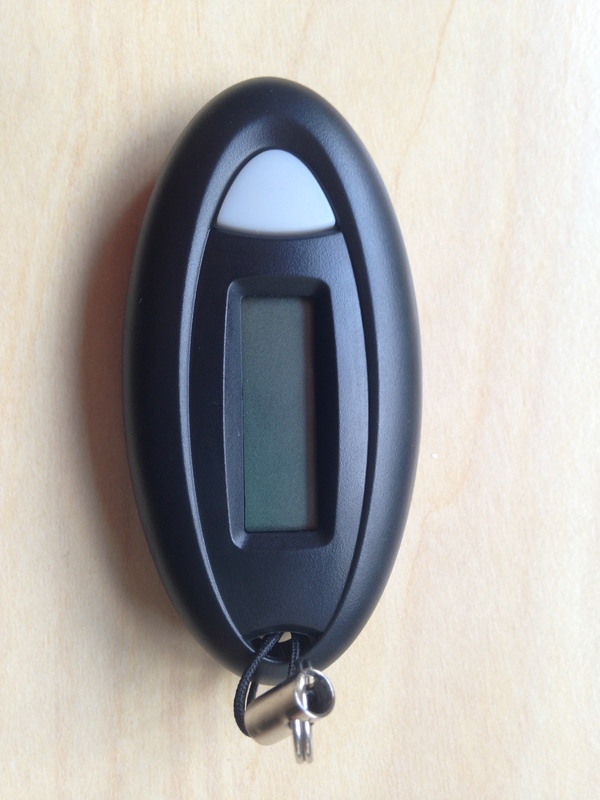 To access your account at an ATM you have to have a PIN, but you have the freedom to pick your own PIN code. I don’t have any credit cards that are chip and PIN, so at the end of the day the only pieces of information I really need to remember are: online username, online password, and PIN for ATMs. Security gets a bit tougher when you open an account in the UK. Again I went to the bank to open this account and was able to get online access. The interesting thing is that I have to have both an online password and what they call a piece of “memorable information” (which I think of as a second password). Whenever I want to access my account online I need to type in my password and then answer questions about my memorable information. The questions are usually along the lines of: What are the 3rd, 5th, and 6th characters of your memorable information? The questions about the memorable information change each time I log on, thus enhancing the security of the account and ensuring that whoever is logging onto your account genuinely knows what the piece of memorable information is. My account also comes with a debit card that has a pre-assigned PIN number. So, I need to remember the same things that I do in the US, but I also need to remember my piece of memorable information and my debit card PIN. Every time I want to log into my bank or approve an online transaction I just push the button on the left and then input whatever number flashes on the screen. I also have a pre-assigned and separate PIN for my debit card. So, I need to remember: my username, password, online PIN, debit card PIN, and have the bank device to use my Norwegian bank account. The company that I worked for in India was responsible for setting up my bank account, which meant that I never actually had to step foot in the bank. This also meant that once I had my debit card up and running I made no attempts to actually try and get the account online. So I unfortunately have no idea about to the level of security required to access an Indian bank account online. Again, my employer was responsible for setting up a Korean bank account for me. This time I actually did entertain the idea of trying to access my bank account online, but I was told by my co-workers that if I wanted to do that I would have to download special security software onto my computer and phone. Korean banks won’t let you access your account online unless they are reasonably certain that your device has enough security. This being said I gathered that once the security software is actually installed, all you needed was a username and password to access your account information. While I don’t actually have too much to report when it comes to Asian online bank security, banking around the world has definitely been a learning experience. Overall, I’d say that US banks have the lowest level of security, while European banks have the highest amount of security. While trying to count out the different characters of my memorable information is a bit annoying, as is inputting three types of information to get a simple online transaction approved, it is comforting to know how seriously my UK and Norwegian banks take my accounts’ online security. Hopefully some of the security practices I’ve seen in Europe will eventually make their way over to the States. Now I know that I haven’t mentioned hiking in the last few weeks and it’s because Trondheim has recently been plagued with rainy weekends. So, in an effort to make sure I wasn’t just going to live in bed all weekend, I’ve been trying to check out some more of the cultural sites around Trondheim. Stop number 1: the symphony. 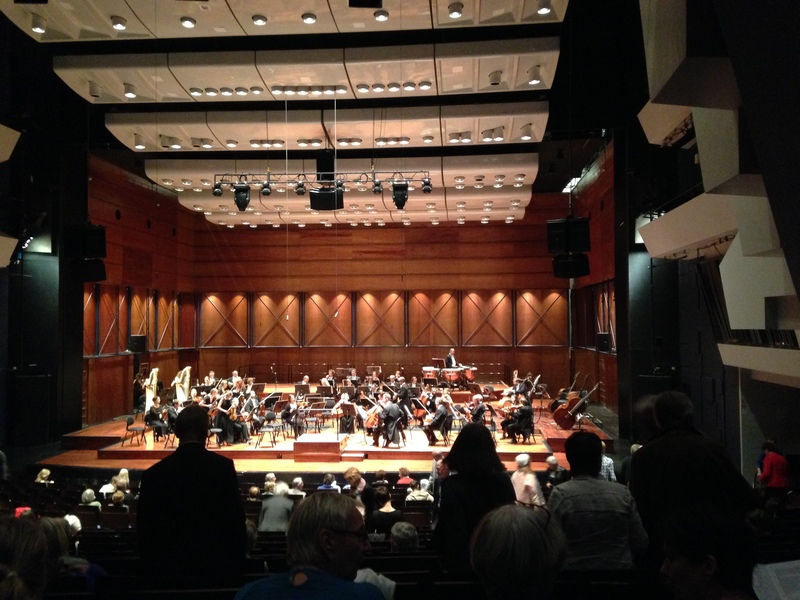 A few weeks ago I went with Alix and some of her colleagues to listen to Trondheim’s Symphony Orchestra. Despite the fact that they didn’t play much Grieg, I still managed to get “In the Hall of the Mountain King” stuck in my head for a week (don’t worry you’ll know the song once you hear it). While I wasn’t the biggest fan of the orchestra’s set list, it was still nice to sit back, relax, and just enjoy the music. Plus it wasn’t half bad at 120 kroner (around 18 USD). 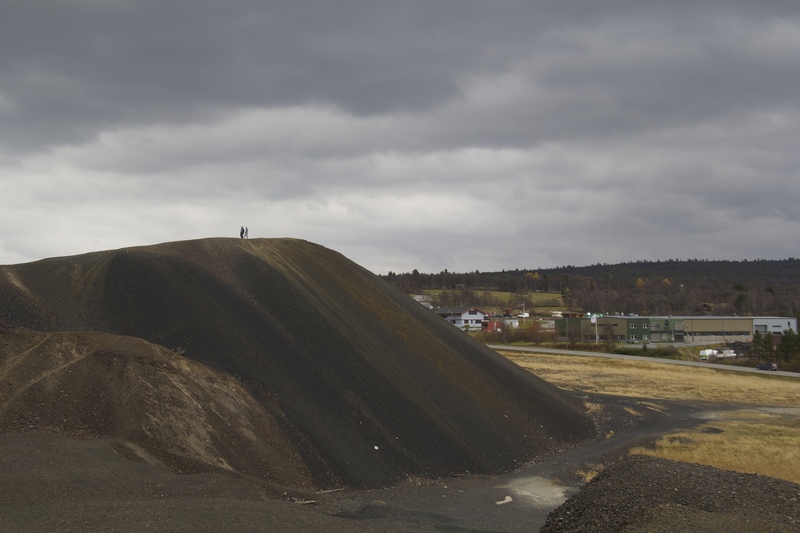 I also had the chance to drop by both the Trondheim Museum of Art (Trondheim Kunstmuseum) and the National Museum of Decorative Arts (Nordenfjeldske Kunstindustrimuseum). I didn’t get too much time to explore the Museum of Art since when I arrived they were about to close, but they did have a fun exhibit on how people used to do the sound effects for the radio. My favorite effects were rubbing your hands across a balloon get a kissing noise and squelching pasta in a bowl to create monster footsteps. 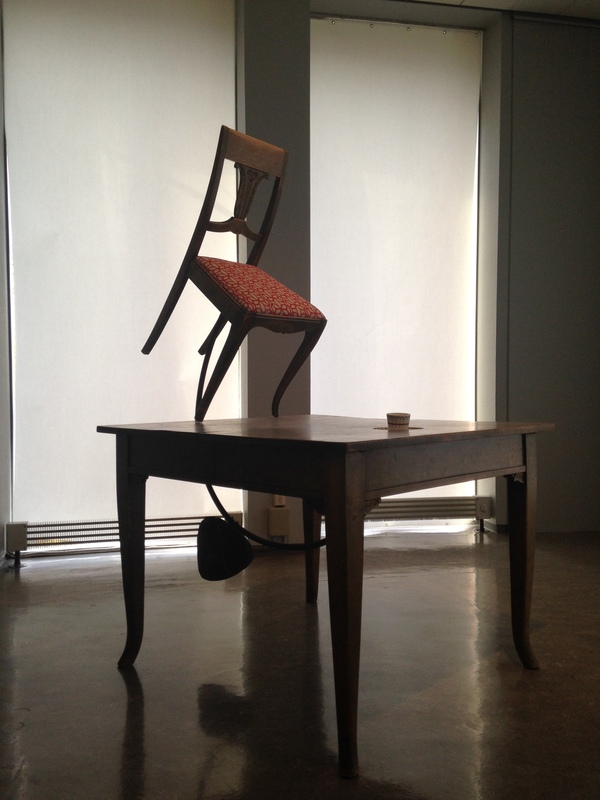 The National Museum of Decorative Arts was actually really enjoyable. 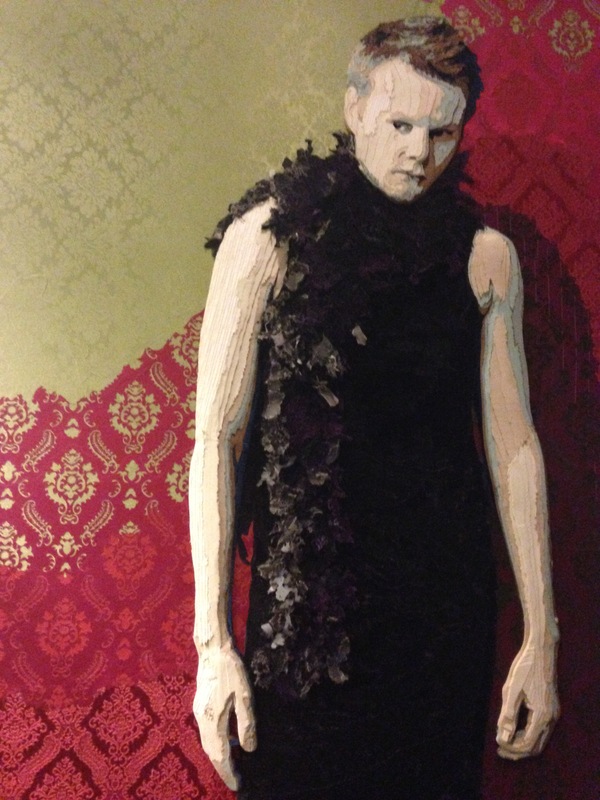 They have exhibits on three levels, and unfortunately I JUST missed their Vanity Fair exhibit. Still it was a lot of fun to look around at some of their more unusual art pieces. I now have a better understanding of why Ikea came from Scandinavia. 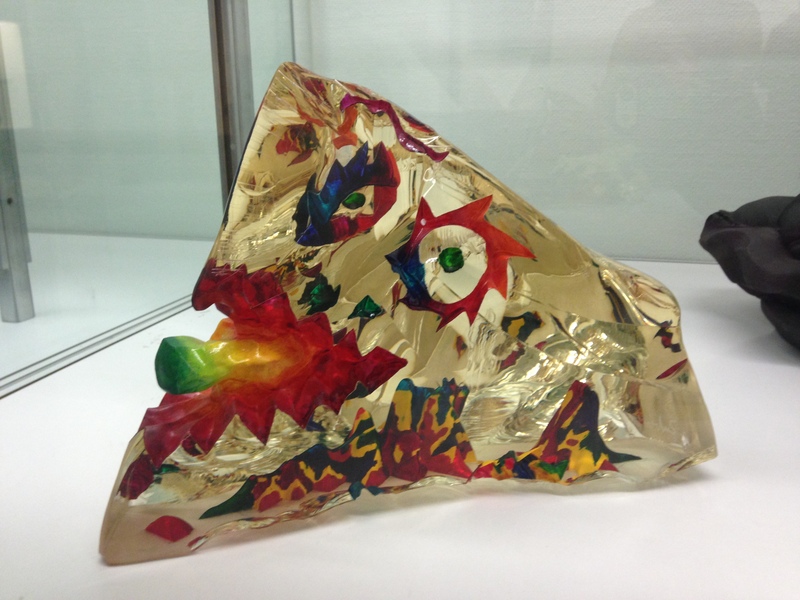 The museum also happens to have a well stocked gift shop which I’d recommend. 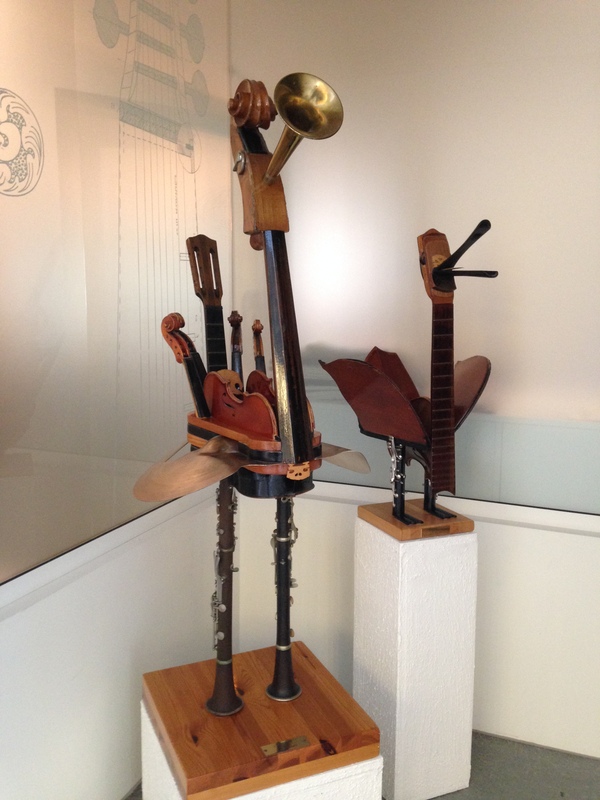 And last but not least, I was treated to a tour of the Ringe Museum, which is a music museum on the outskirts of town. 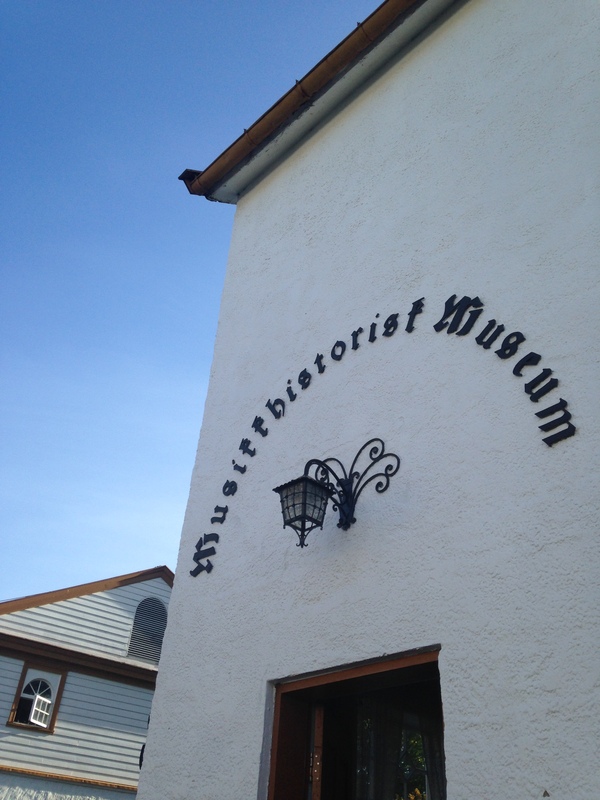 To quote our tour guide, “The museum was originally an old manor where the rich used to go to play farmer” (hence why it’s on the edge of town). The manor was eventually inherited by a couple who was very dedicated to music and who decided to convert the manor into a museum. Nowadays the museum has instruments from all around the world, and many of them are hundreds of years old and quite rare. While the tour itself was nice, we got a bonus on top of that. It just so happens that a friend of a friend of a friend, Daniel, happens to work at the museum and was willing to give us a private tour on top of the public one. We all had a lot of fun walking around the museum and having him explain the history behind some of the instruments on display. It turns out that some of the most controversial instruments in the museum are Tibetan ones made of human bones. China has now banned Tibetans from making these instruments from bones, but the museum has some genuine ones as well as some of the more modern version which are made out of wood. What I personally found to be the strangest instrument in the museum was the theremin. 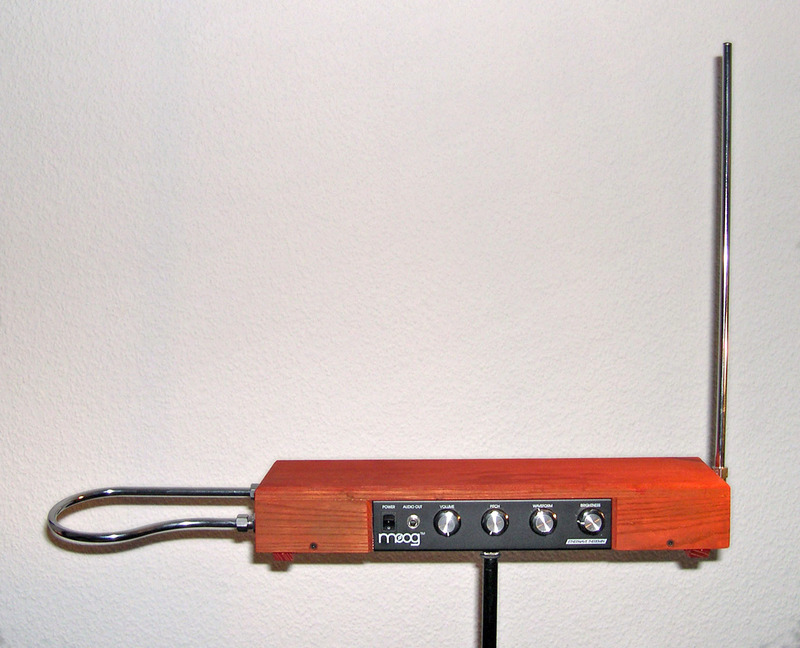 You don’t actually touch the theremin to play it but by moving your hands around the instrument you can change the volume on the left hand side and the pitch on the right hand side. My clumsy attempts to play it were pretty terrible, but this YouTube video will give you a good idea of what it sounds like and how to play it. And yes, it’s much harder to do than it looks. At the end of the day my favorite instrument was a bell. Daniel explained that in the country where the bell originated from monks would ring the bell to help pray for the dead. He went on to explain that families would come and stick a post-it note on the bell with the names of the deceased and their address written down. The idea behind this was that when the monks would ring the bell it would call to the dead and then the dead would be able to hear the monks praying for them and guiding them from their home address onto the path of reincarnation. Overall I had a good time at the museum and would recommend a visit if you happen to be a music lover.